At the Australian Human Rights Commission, we aim to educate people to understand their rights and provide them with the knowledge and skills to be able to bring about positive change in their lives and in their communities. The Commission has a mandate to undertake educational programs that promote human rights and to assist in the formulation of programmes for the teaching of, and research into, human rights. Undertaking work across the vocational education and training sector is central to achieving this goal, broadening the reach of human rights education to learners, service and pre-service workers across a range of industries. PDf and Word versions of the Trainer’s Manual and Learner Guide can be downloaded from the training resource page. 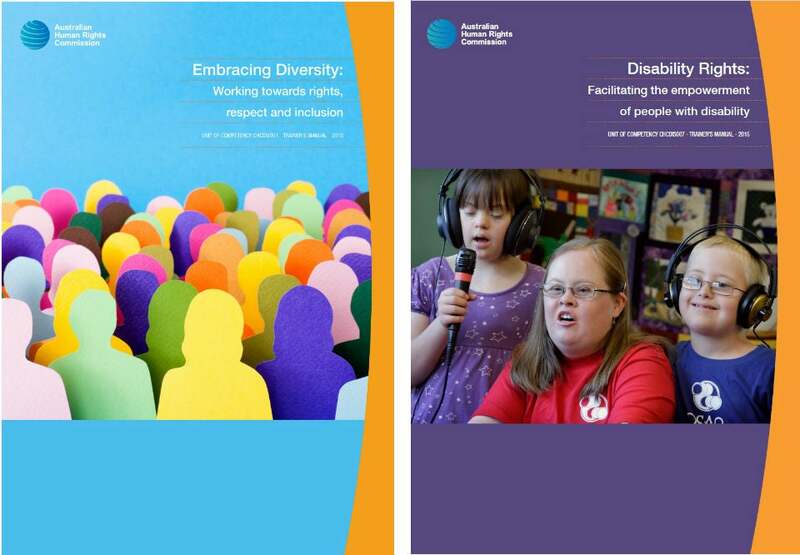 We are currently in the process of developing a second set of resources: ‘Embracing Diversity: Working towards rights, respect and inclusion’ (aligned to CHCDIV001 - Work with diverse people), so stay tuned!